Every year, an impressive number of people passionate about diving and marine life come to Anguilla in order to explore its marvelous coral reefs. If you belong to this category, the most fascinating places you can visit are Angel Reef, Shoal Bay Reef, Captain Turtle and Dog Island. Angel Reef – The name of the formation is given by the great number of angel fish living here. Turtles and stingrays populate the area abounding in sea fan. Shoal Bay Reef – The bottom of the reef is covered with sand, offering excellent living conditions for eels, crayfish, lobsters and southern stingrays. 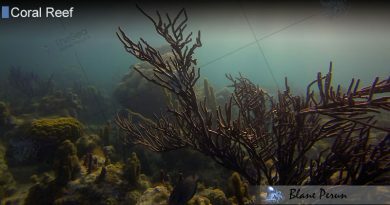 The maximum depth of Shoal Bay reef is of 85 feet in the West, while its Eastern side is much shallower, of about 30 feet. Captain Turtle – It is the home of a great number of turtle species and of large colonies of soft corals. The nurse sharks are among the marine creatures that can be seen here. Dog Island – It is the habitat of a great number of shark subspecies, such as the tiger shark, the nurse shark, the lemon shark or the black tip sharp, but it also offers good living conditions for grunts, tarpons and tuna.